You want your furniture to stand out, but you also need quality, flexibility, durability and function. Browse this idea gallery to get inspired and discover the latest in soft seating. 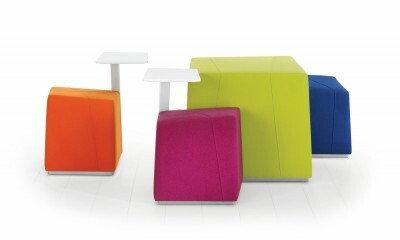 These modular pieces are perfect for customizing your child-size seating. 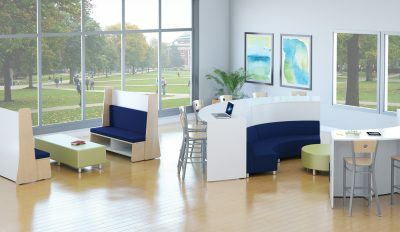 Now you can create fun seating configurations like arches, circles, waves and more! Releasing pent up energy can help kids relax and focus. These chairs rock gently to help improve concentration while a child reads. Not your typical bean bag chair. The water- and stain-resistant fabric makes these chairs easy to clean and durable. 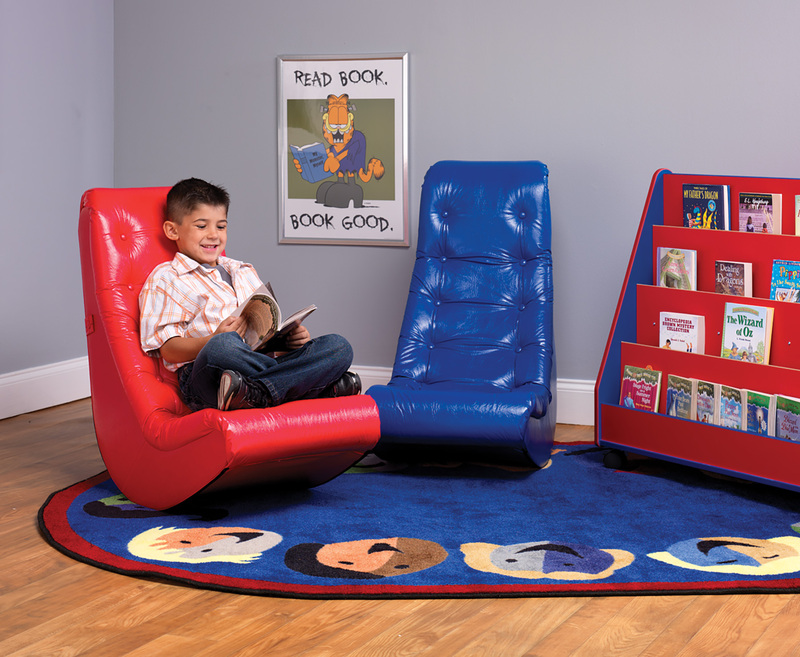 Plus, kids love this comfortable and casual seating! 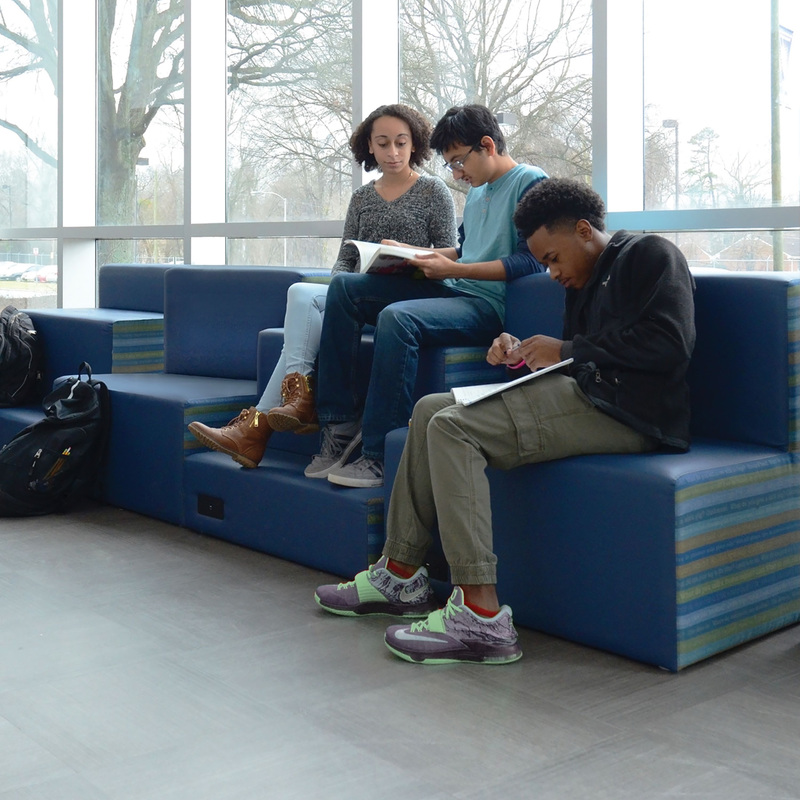 This multilevel seating helps you maximize your space with modular pieces that are easy to reconfigure to fit the needs of your patrons. 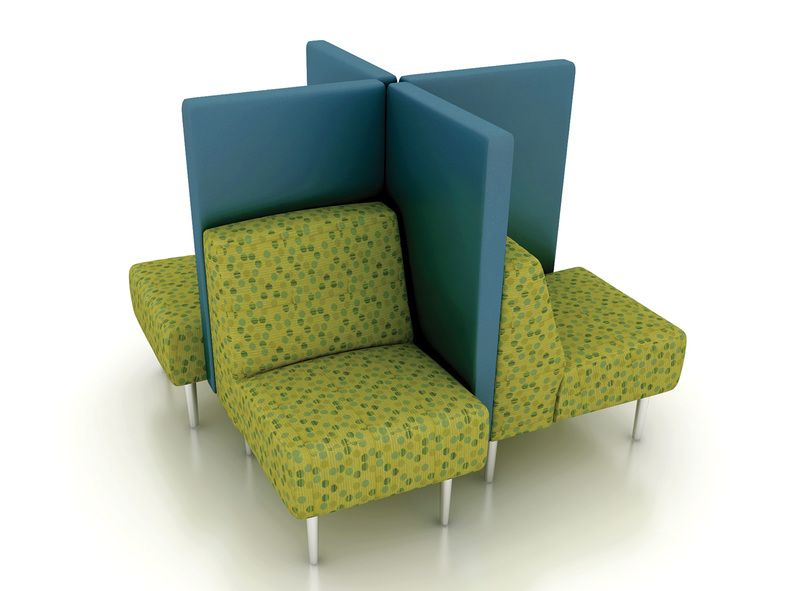 Modular acoustical seating gives your library users private space to work together or socialize. Give your casual spaces a boost with economical café-height stools that offer a stylish look. Create multipurpose space where your library users can collaborate or lounge. 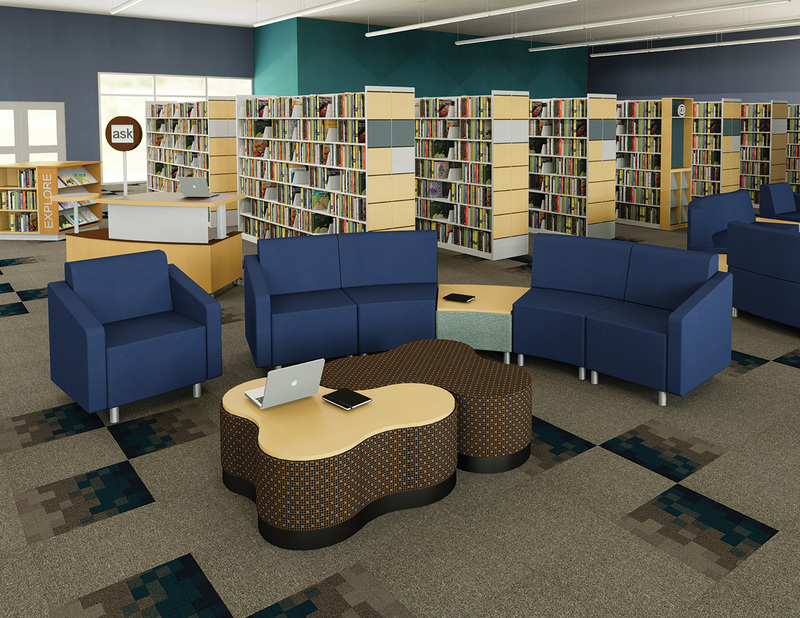 Create a custom seating configuration to fit your space and the needs of your library users perfectly. 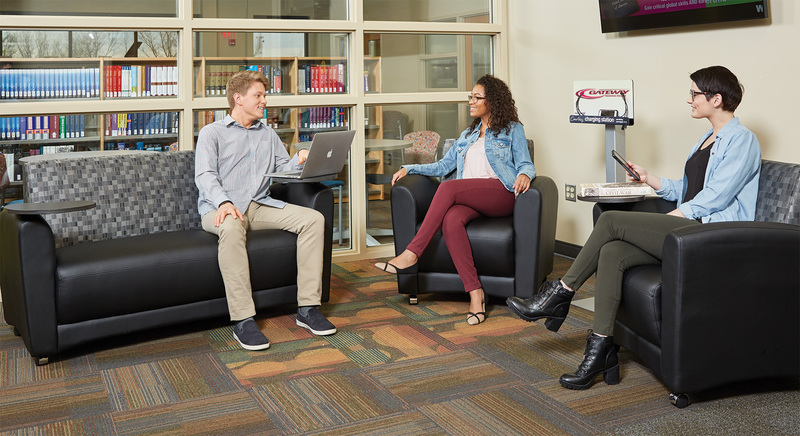 Create flexible spaces with modular seating that works great as a large seating area, as standalone pieces and can easily be reconfigured to make other grouped seating arrangements. 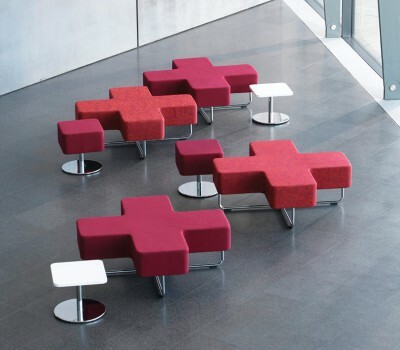 This multifunctional lounge seating is great for relaxing. And, when it’s time to get to work the stow-away tablet easily rotates into place to accommodate laptops and paperwork. 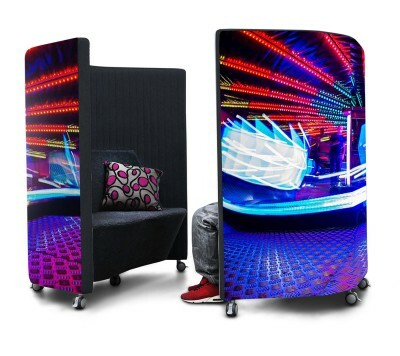 The privacy to do your own thing, the convenience of adult and child-specific sizes. A contemporary take on libraries as you know them, these stand-alone work surfaces and coordinating stools inspire productivity. This seating is all about flexibility. Have a conversation or don’t. Hang out, work or read. It adapts to patrons’ and students’ needs. Can you guess what inspired this seating line? As the name suggests, it’s easy to see how this seating mirrors kites’ angles and curves. Table and power access accessories are perfect for a party of one. 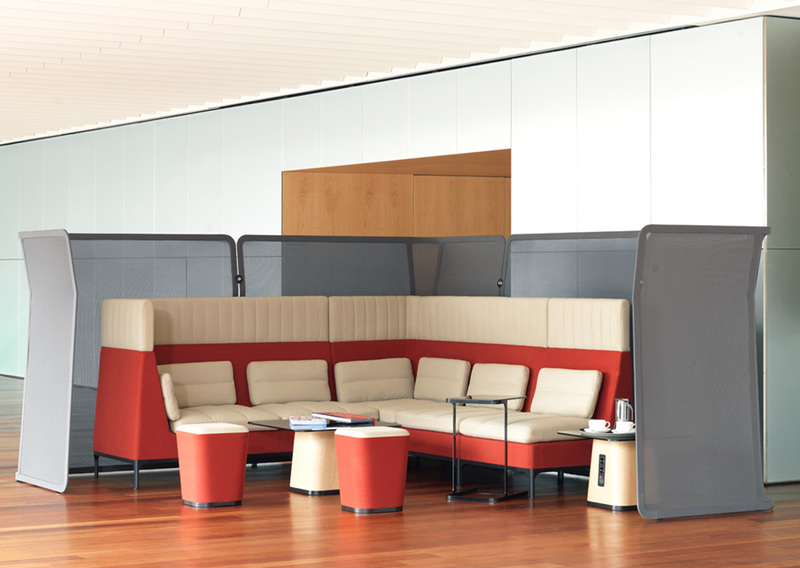 The 3-as-1 seating concept also makes economic use of your space. Going for high impact? Then this is the seating for you! It’s refreshing, fun and an X-marks-the-spot for casual conversations. These razzle, dazzle cubes allow patrons and students to work and sit how they want to! 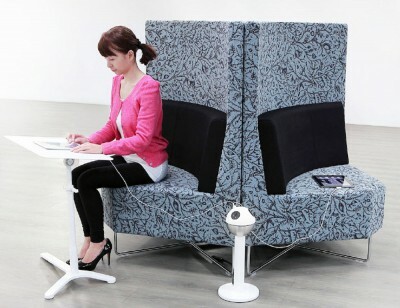 Small and movable, this seating is also very flexible. This hard-working seating is cost-effective, durable and easily wiped clean with a vinyl upholstery choice. Durable, customizable, moveable — this seating line proves itself again and again. 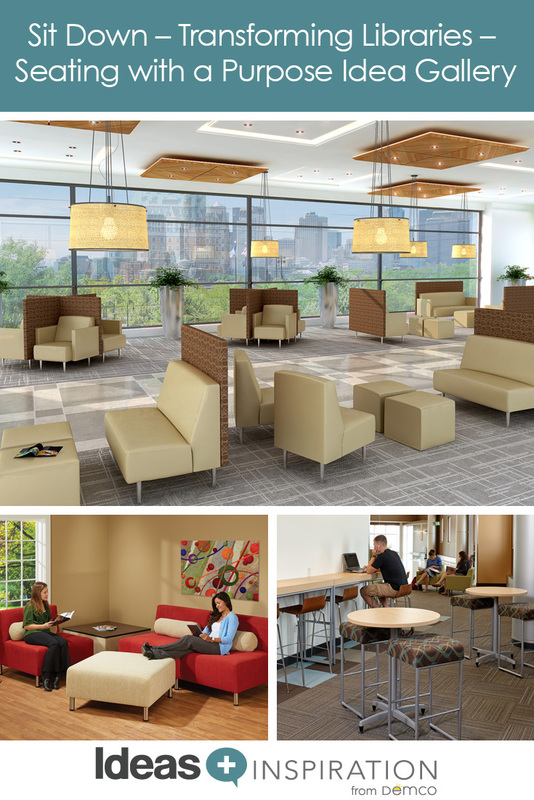 More than 30 lounge seating options and dozens more ways to customize the arms, legs and tables! WOW! 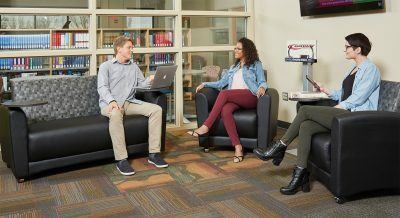 Did you know seating can create its own “room?” No walls required! 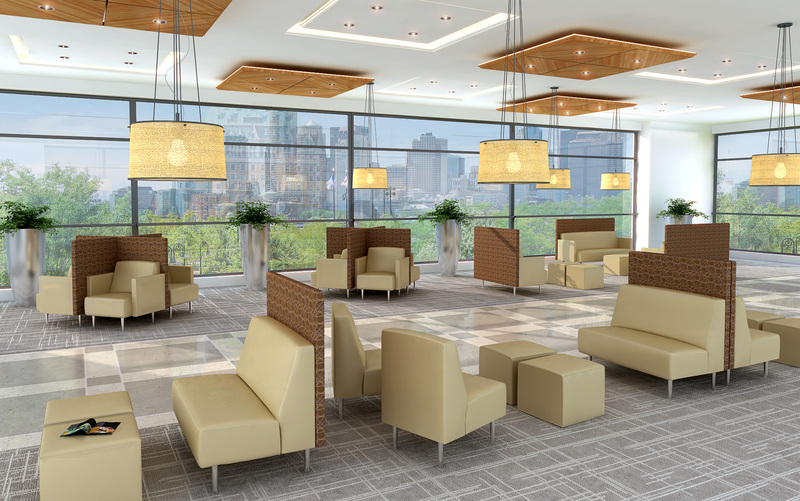 This seating creates an uplifting mood as if you’re in a lounge or a favorite restaurant. It’s not often that adult-size furniture and kid-size furniture are in the same line-up. This mingler match-up gets the job done and makes a sophisticated statement. 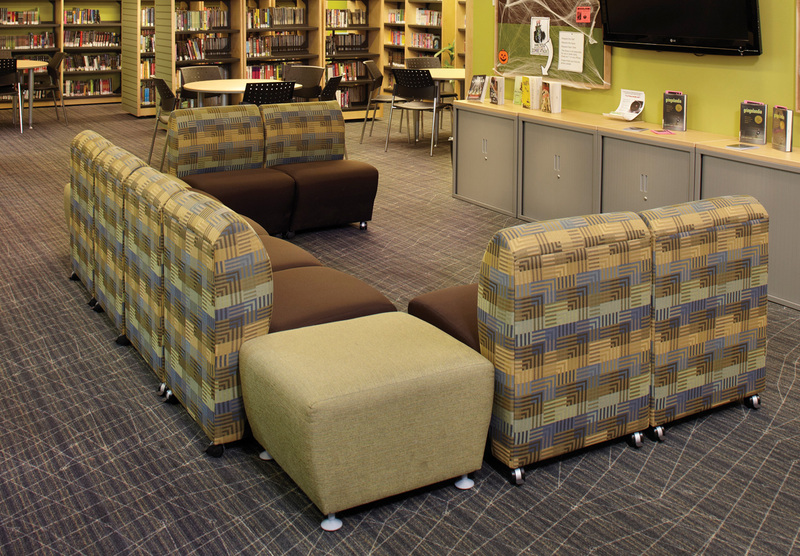 With custom printed fabric, your library is going to stand out for all the right reasons. Patrons and students won’t be able to get such cool work or study alcoves anywhere else. This is the ultimate in smart multi-tasking. 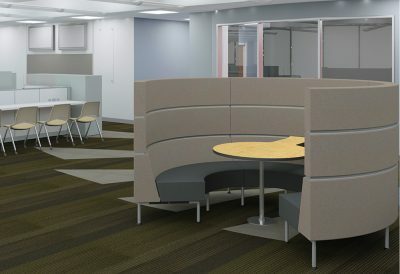 Semi-private seating on one side, bar-height work space on the other. Everyone wins. This seating’s specialty is creating a cozy, semi-private area for group work or conversations. 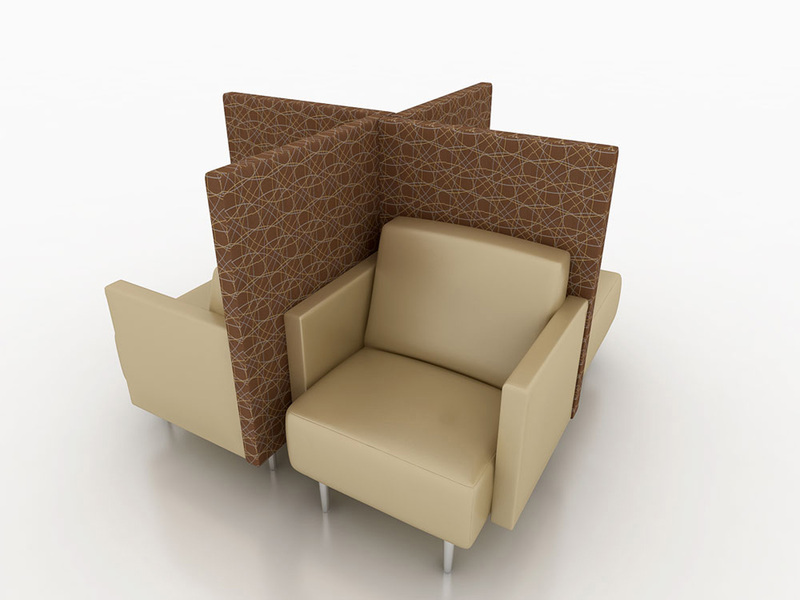 Bonus feature: Separate, wrap around screen divider muffles sounds and creates a signature look for your library. What happens at the library stays at the library.